I love Ribena it is the drink that reminds me of my childhood, I used to have cartons of it in my packed lunch box for school. Even now that I am an adult if I am out shopping and want to buy a drink I always select Ribena light, it is delicious, refreshing and perfect for quenching my thirst. Last week Ribena opened up there very own colouring in cafe in London's Covent Garden for the day, which you guessed - consisted of colouring in whilst sipping delicious Ribena drinks. But this was not just any old colouring in session as with the help of Bristol based artist Alex Lucas this was something very different. Alex created a rather interesting and unusual city landscape, which was divided into 120 small colouring in tiles. Some very lucky fun-seekers were then invited along to the cafe to colour in these tiles of art. Doesn't it sounds pretty amazing? I would love to have been sitting in a cafe sipping chilled Ribena, chatting with friends and colouring in. Their is something rather therapeutic about colouring in and I can see why adult colouring books are so popular. 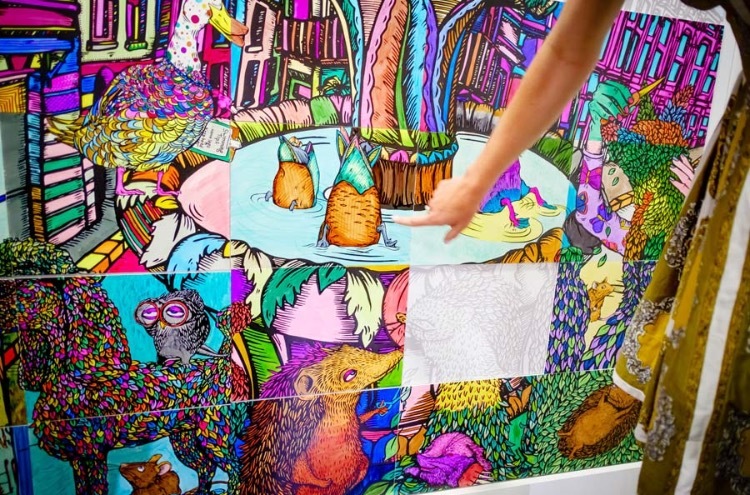 Imagine adding splashes of colour to a piece of bonkers artwork, using your imagination and wondering what the finished creation would reveal. A rare chance to leave the world behind for an hour or two and just colour in and have fun. 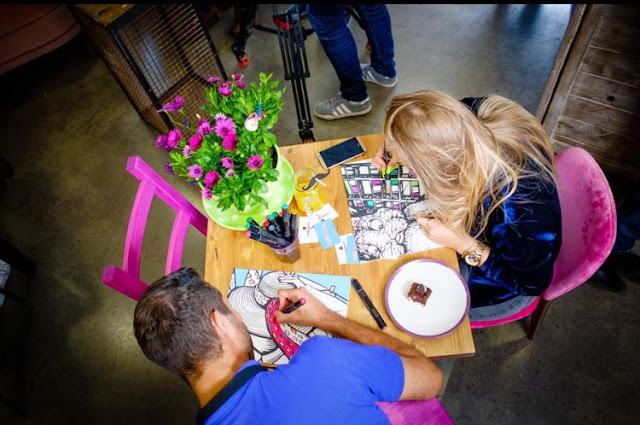 Once the cafe guests had coloured in there pieces of art they placed them on the wall to create the joined up art work, the end results were rather bright, colourful and amazing! Alex designed the cityscape to be bright, fun and to make us smile, she certainly succeeded. If you want to see the finished art work watch the short video below of the event and the completed coloured in project. Pretty surprising and impressive huh ? I totally agree that you can't get any more Ribenary than that! 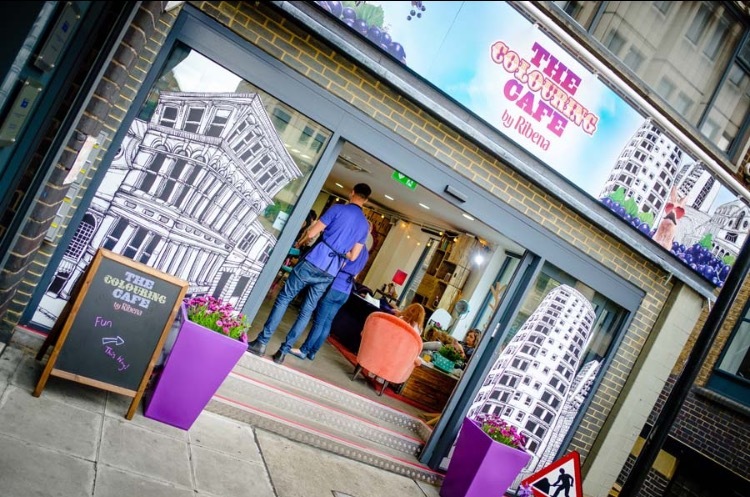 I wish that there was a cafe like this in Newcastle as I would so visit myself! We can still join in the fun though as on the Ribena website you can colour in your own masterpiece too. So what are you waiting for get colouring and if you do take part don't forget to share your masterpiece with Ribena on social media using the hashtag #RIBENARY. 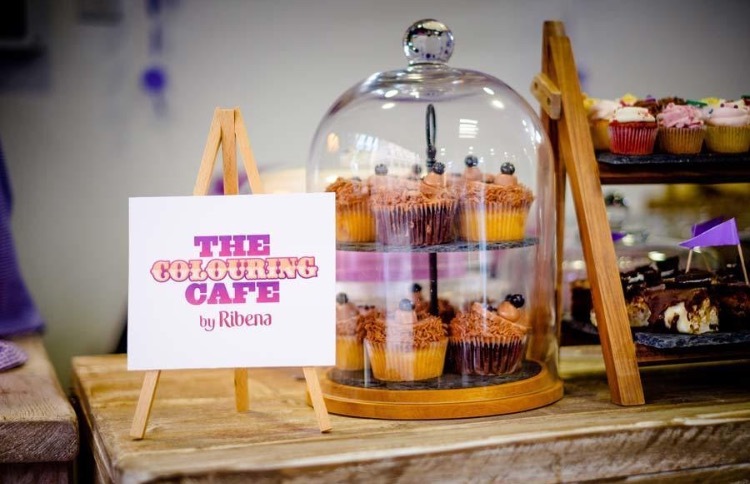 You can follow Ribena on social media Facebook, Twitter and Instagram. I don't know about you but all this talk about Ribena has made me want to go out and buy some.